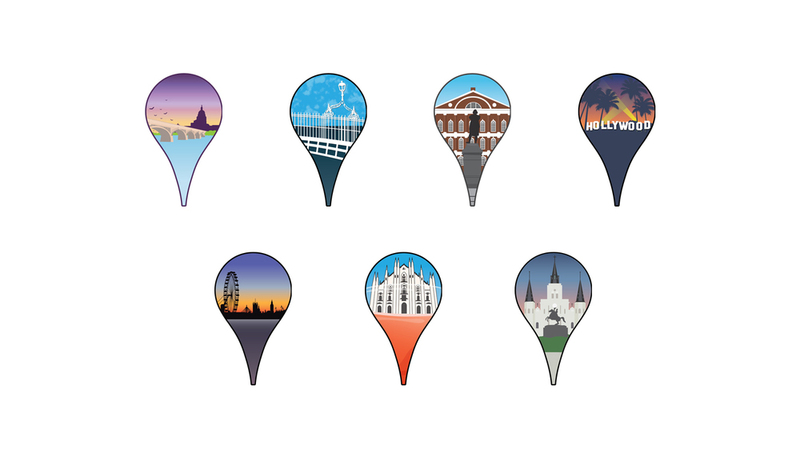 Google city branding pins were created for various cities throughout the world. Each pin is used to brand a city's Twitter account. Worked closely with the project manager. Designed and illustrated pins for 17 cities. One challenge was being able to create an illustration that would work at both a large & small scale.